100 years ago today my paternal grandmother Walerya Leszczynska Eliasz came to the USA with my four year old aunt Aleksandra (Alice) in tow on the SS Prinz Adalbert. She arrived in Philadelphia (for some unknown reason) and went to Buffalo to join my grandfather, Jozef and her two brothers and a sister. She arrived on the SS Prinz Adalbert from Hamburg, Germany (port) and her last residence was Pacanow. So it is safe to say that Stanczyk would not be here today if Walerya had not come to the USA when she did. The Ship manifest was also very helpful with its markings that indicated citizenship papers and also showing she came from her father (Tomasz in Pacanow) to her husband (Jozefin Depew, NY). The Depew, NY address was actually her brother Teofil’s address. According to my aunt Bernice, my Busia’s brothers had to go get my grandfather (whom I assume was working in Detroit). My grandparents were reunited in Depew and I have their century old photo in an antique oval/bubble frame with “1913” inscribed on the back. It must have been a happy reunion, because my aunt Kitty was born in 1914 in Depew. Stanczyk, loves using newspapers for historical research or genealogical research. Most of the time I am doing genealogy research. So I look for vital records in marriage announcements or birth announcements or perhaps death notices / obituaries. But there are so many other reasons to use historical newspapers. Today I wanted to give you an idea for using the historical newspaper in the port city where your ancestor arrived. 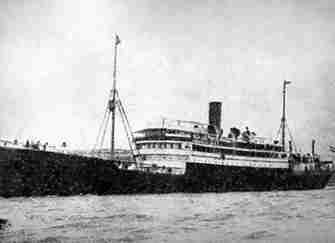 My grandmother, Walerya Eliasz, arrived in America on the SS Prinz Adalbert on 15th September 1913. 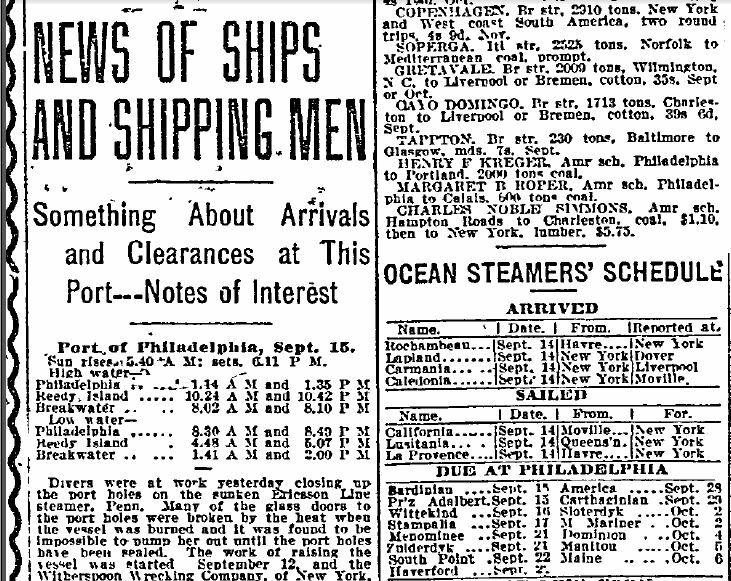 I have a picture of the ship, but then the thought occurred to me, what if I get a copy of the newspaper from the day my Busia arrived in Philadelphia! It would make a nice graphic image in the story of the ELIASZ family in America.So that is my tip for another use of the historical newspaper to tell your family history. Use it to find the “Ship Arrivals” in the port city where your ancestor(s) arrived. Walerya arrived that day, age 27 with her four year daughter Aleksandra in tow. They were coming from her father Tomasz Leszczynski in Pacanow and going to her husband Jozef Eliasz in Depew, NY. [Can anyone tell me why she did not get off in NYC and take the train to Depew from NYC?] This ship departed from the port of Hamburg and I am pretty sure it stopped at NYC before arriving in Philadelphia. So Walerya was born and married in Biechow, Poland. She got married there in 1907. She had her first two children there in 1908 and 1909. Her husband Jozef Elijasz came to the USA in 1910 from Zabiec. She left Poland in 1913 from Pacanow. She arrived in Philadelphia and went by train to Depew, NY. She had a daughter Catherine (ok really Casimiera) in Depew. 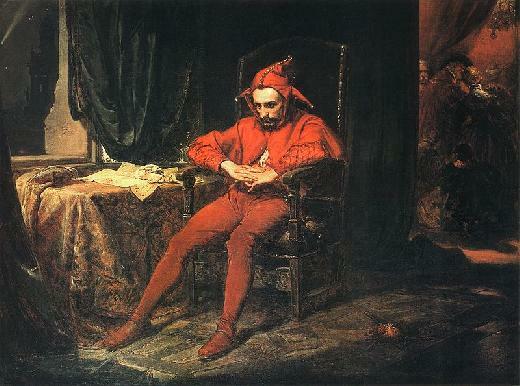 Moved to Toledo, OH where she gave birth to Stephen, Joseph, and Bernice. Immediately after Bernice was born , they moved to Detroit, MI (1920) where she had Thadeus, Henry, and Chester. She was widowed in 1930 (bad time to be a widow, during the Great Depression). She remarried in 1947 and moved to Beech Grove, IN. She was widowed again in 1953 and her children helped move her back to MI, to her seven acre farm in Macomb Township on Fairchild Road — which is the only home I ever remembered my grandmother living in.